Mothers, Daughters, Fathers, Sons: going to college can be a family affair! Every year, over 2,000 students attend Holland College programs in centres across the Island. For many, it’s their first post-secondary experience. Some are fresh out of high school, others have been out of school for while and have decided to come back to retrain or to upgrade their skills. Still others have completed a university degree, but are now seeking practical training to enhance their employability. The average age of a Holland College student is around 23; but we have students from 17 to almost 60. Holland College has always had a family feeling to it – small class sizes and lots of one-on-one time with the instructors have helped to build that sense of community. For some students, it’s not just a family “feeling”, though, it’s a reality. With such a diverse age range, and because we live on an island with a population of around 140,000 in approximately 45,000 households, I wondered how many families had more than one person attending a program at Holland College at the same time, and how that affected their experience. Turns out, there are quite a few. I talked to some of them about what it’s like. Sisters Karyn and Kady Brown are both in programs at the Charlottetown Centre. 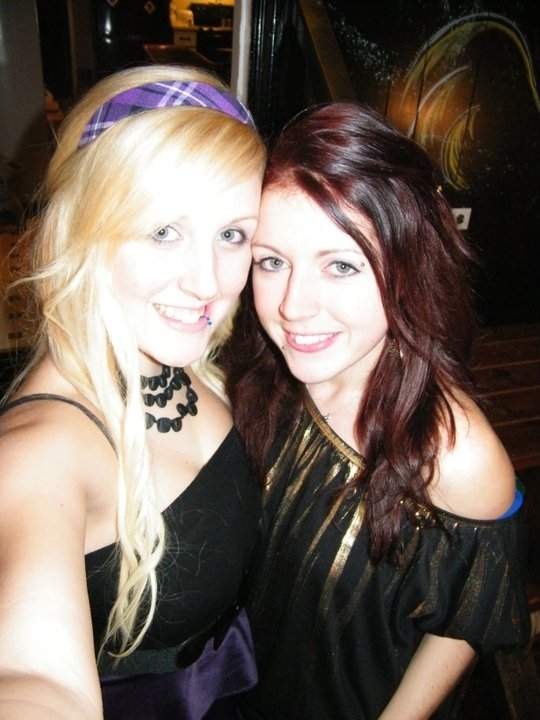 Karyn, 18, is taking Architectural Technology; Kady, 22, is taking Business Administration. The girls come from a family of nine children in Bayside, in the western part of Prince Edward Island. Kady’s been living away from home for a while. For the past four years, she’s been travelling; but for Karyn living away from home is a new experience, one that she thinks has been easier to adapt to thanks to Kady. That sense of security, of not being all alone in a strange environment, was echoed by two other sisters, even though they are taking programs on different campuses. Brandi Weibel is a student in the Sport and Leisure Management program in the Charlottetown Centre; her sister, Ashton, is in the Culinary Arts program of The Culinary Institute of Canada at the Tourism and Culinary Centre. 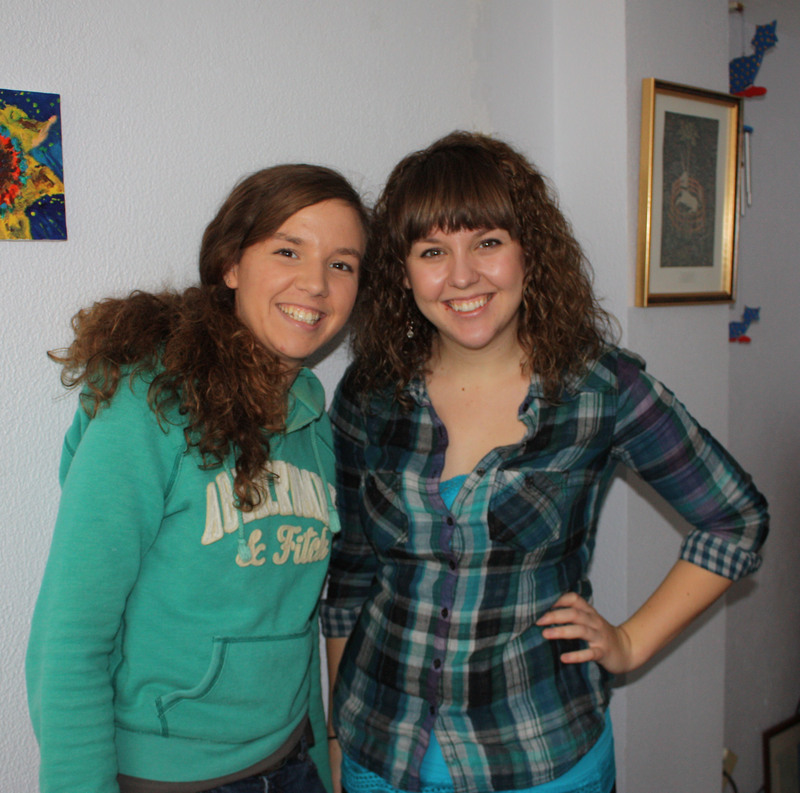 They started their programs at the same time, which Brandi said has made a difference to her experience. Alice Doughty and her son, Kyle Gallant. 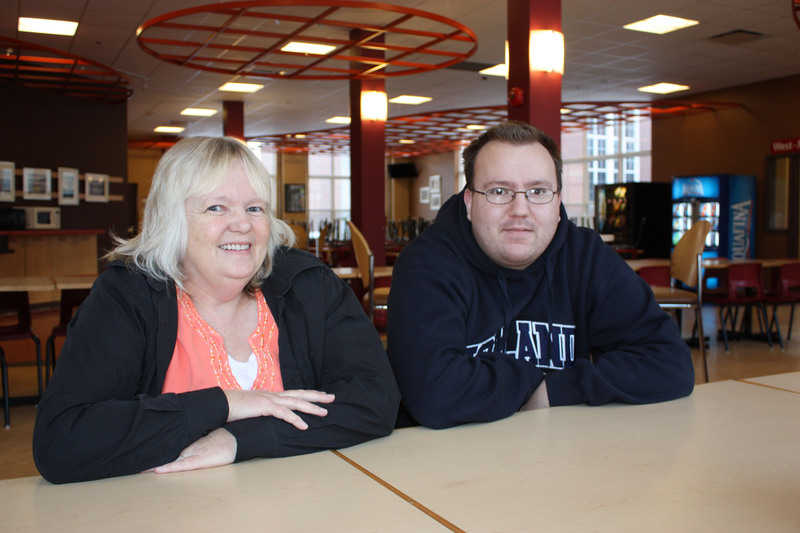 For Alice Doughty and her son, Kyle Gallant, 24, being at college together is an extension of a family tradition. Alice attended UPEI with her other son, and has worked in the same place as both of her sons and her daughter before. “It’s not so different for us,” she said. Now she’s in her second year of Accounting Technology at the Charlottetown Centre, and Kyle is in the Electronics Engineering Technology program in the same wing of the building. Kyle says having his mom in college at the same time has expanded his circle of friends. Journalism student Charlotte MacAulay brings her daughter Irene, a Grade 12 student at Bluefield High School to the college for the morning. Irene is in the Transitions program for the semester. Irene said that it’s comforting knowing that her mom’s in the same building. “If anything happens, I know they can go and get her,” she explained. 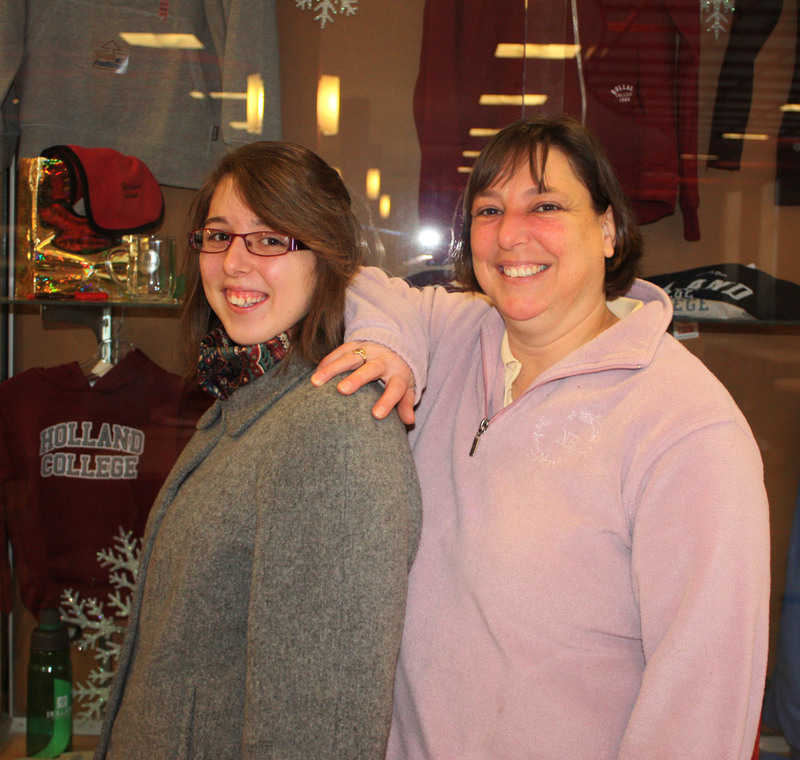 For the MacDonald family, Holland College really is becoming a family affair. Joe MacDonald graduated from the Power Engineering program at the Marine Training Centre, and now his wife Michele is taking the Business Administration program in Tignish, while their daughter Natasha is in the Fundamental Arts program in Charlottetown. Even though they are on different campuses, Michele still enjoys the fact that she and Natasha are both in college together. “It is kind of cool…I am 46 and she is 19, which makes me wonder why I didn’t go to school when I was 19,” she said. As she points out, it’s never too late to go back to school. For the MacDonald family, coming to Holland College was the continuation of a change that started out west. The MacDonald family: Joe, Nathan, Michele, Natasha, and Laura. “Our dream of moving back home from Calgary was realized six years ago when we sold our business, Island Appliances. My husband, Joe, decided to enrol in the 4th Class Power Engineering course in Summerside and is currently working at Royal Star Foods. “After he finished, I thought why not take advantage of the same opportunity? So at 46 years of age, I am currently in my second year of Business Administration at Holland College in Tignish. “Our daughter, Natasha, is in the Fundamental Arts program at Holland College in Charlottetown, which is really great. I actually went for a day-long seminar recently in Charlottetown and was able to meet Natasha for lunch. Natasha is enthusiastic about her parents’ latest endeavours, but not without a couple of reservations! Students and staff returned to the college this week after enjoying a two-week respite for the holidays. Now the momentum picks up, with most first year students entering their second semester and second year students preparing to graduate in just a few short months. Before we get too far into 2011, I’d like to take time to recap some of the accolades and awards Holland College students and staff earned in 2010. I’ve sent out news releases on some of them, and wrote a blog entry about Graphic Design alumnus Mitch Smith’s BMO Art First! award, but there are others who have not yet been acknowledged here or on our website. Students in the college’s Business Studies division were recognized for their achievements by two different organizations this year. For the 14th year in a row, the Rotary Club of Charlottetown Royalty sponsored a business planning competition in which students from the college’s Business Administration and Retail Business Management students participated. By the end of the competition students have lender-ready business plans which they present in front of a committee. It’s invaluable, hands-on experience working with business people from the community. 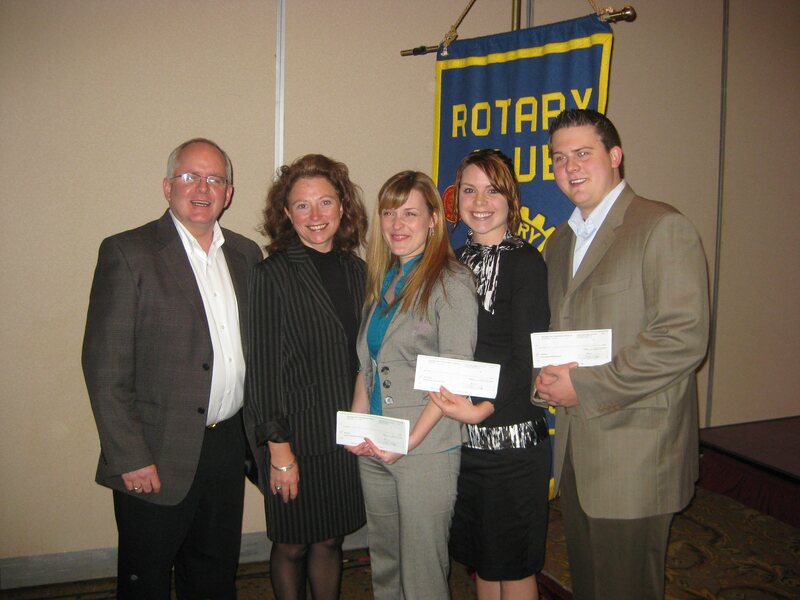 Students Allison Stevenson, Daniel Martens, and Nikkie Gallant each won awards for their business plans. Allison’s business was a golf course renovation and construction and residential/commercial earthwork construction company, Finishscapers Construction. Dan’s proposal was for a company that could produce biodiesel products for farmers and fishermen. He’s been working in the field of bio-fuels for the past few years, and comes from a three-generation farming background. Dan sees bio-fuels as a viable alternative to fossil fuels for these struggling industries. Nikkie Gallant’s business plan focused on a career in music. She has been involved in the music industry for about 12 years, and came to Holland College to learn more about business so that she could better manage her career and merchandising. Another group of students participated in the Saint Mary’s University Business Development Centre’s Are You Smarter Than a CEO competition. This online competition has students from colleges and universities across the region developing problem-solving case studies for one of five real Atlantic Canadian companies. Three teams from the college’s Business Studies division were invited to advance to the second round of the competition: Susan Thomas, Ruby Gallagher, and Tony Gauthier; Kevin Horne, Gordon Furness, Alice Doughty, and Joanna Harrison; and Judy Lea, Rhonda Rose-Redmond, Emily MacNeil, and Chantal Gillis. Judy, Rhonda, Emily and Chantal’s team was selected as an overall winner in the competition. Students and staff from The Culinary Institute of Canada did not go unnoticed this year, either. Graduate Caitlin Hueser was selected to represent the Atlantic region at the Celebration of the Nation’s Table at Rideau Hall in Ottawa. Caitlin just graduated this year, but so far has racked up experience at the G8 meeting in Toronto and at the British Open. Another Culinary Arts graduate, Mandy Wingert, was selected to work in the Canada Pavilion at Expo 2010 in Beijing, China. Mandy’s no stranger to the international culinary scene, she was part of Culinary Youth Team Canada in 2008, which competed in the Culinary Olympics in Erfurt, Germany. Prior to that, the team competed very successfully in Wales and Scotland. Mandy was also one of the two CIC students who brought home a fistful of medals from The Nations Cup, held in Grand Rapids, Michigan in 2007. Canada’s Smartest Kitchen, the research arm of The Culinary Institute of Canada, received its fair share of accolades, too. Research and development chef Allan Williams was named Atlantic Chef of the Year, and Canada’s Smartest Kitchen received the Best Use of Technology award from the Greater Charlottetown Area Chamber of Commerce. 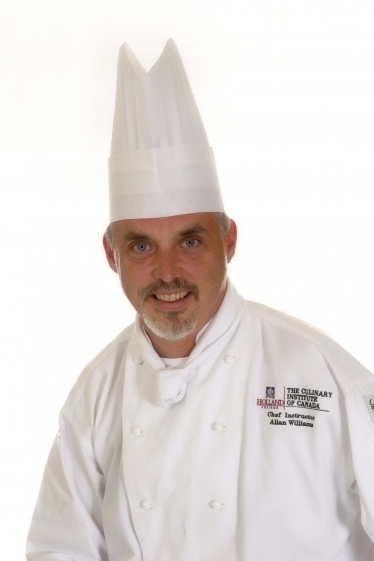 Chef Allan Williams, Research and Development Chef in Canada’s Smartest Kitchen, the research arm of The Culinary Institute of Canada, and recipient of the Atlantic Chef of the Year award. Instructor Erroll Affleck was recognized for his volunteer work by Skills Canada at the national competition held in Quebec in May. Erroll has been a popular instructor at the college for many years—one of his former students set up an appreciation page on Facebook which has about 170 alumni as members! Staff members Alan Dowling and Deborah Lavers were also recognized for their contributions to their community. Deborah was named Volunteer of the Year by the Community Foundation of Prince Edward Island, while Alan was chosen as 2010’s Doug Riley Artist at the East Coast Music Awards. Alan is currently working on the development of the college’s new School of Performing Arts, a partnership with Confederation Centre of the Arts. Photography and Digital Imaging students distinguished themselves on the regional level this year, winning several awards at the Professional Photographers of Atlantic Canada convention. Practical Nursing learning manager Nancy MacFadyen was profiled as a Nurse to Know by the Canadian Nurses Association, in acknowledgement of her professionalism and compassion. In athletics, the Holland College Hurricanes received three significant awards. The Holland College Hurricanes were presented with the Canadian Colleges Athletic Association Innovation Award. The CCAA Innovation Award is presented to a member institution that demonstrates the ability to increase or maintain athletic opportunities for students at their institution through unique and innovative programming. The Holland College Hurricanes Football Club, after enjoying very successful inaugural season, was awarded the ADL Sports PEI/Football PEI Team of the Year and Mike O’Grady was named Administrator of the Year in recognition of his efforts this year. Finally, the college hit two Top 50 lists this year. Holland College president Dr. Brian McMillan was named one of Atlantic Canada’s Top 50 CEOs by Atlantic Business Magazine, and the college received the honour of being named one of Aon Hewitt/Queens University’s 50 Best Small & Medium Employers. Congratulations to all of the recipients mentioned above. It is your dedication, enthusiasm and professionalism that make Holland College not only a great post-secondary institution, but a great community as well! 2010 in review – see how this blog did last year. A Boeing 747-400 passenger jet can hold 416 passengers. This blog was viewed about 9,300 times in 2010. That’s about 22 full 747s. In 2010, there were 23 new posts, growing the total archive of this blog to 39 posts. There were 198 pictures uploaded, taking up a total of 391mb. That’s about 4 pictures per week. The busiest day of the year was December 13th with 202 views. 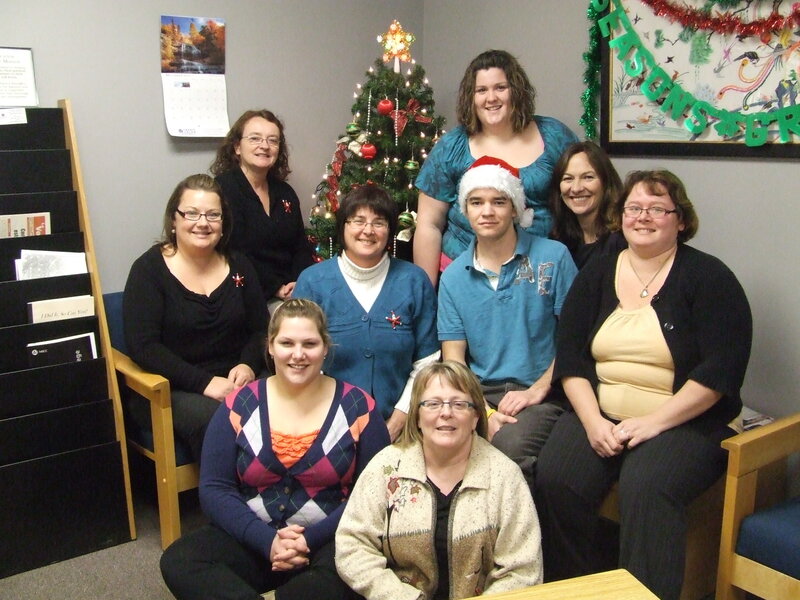 The most popular post that day was Holland College students and staff gear up for the season. The top referring sites in 2010 were hollandcollege.com, facebook.com, hollandc.pe.ca, mail.live.com, and cadc.ca. Some visitors came searching, mostly for holland college, students, charlottetown harbour, commercial diving, and holland college blog.